We are deeply grateful that this project has received substantial support from the John Templeton Foundation and other individual donors because its significance for the Church and World is huge. A Belgian cosmologist and Catholic priest, Georges Lemaître argued that the physical universe was initially a single particle—the “primeval atom” as he called it—which disintegrated in an explosion, giving rise to space and time and the expansion of the universe that continues to this day. This idea marked the birth of what we now know as Big Bang cosmology. 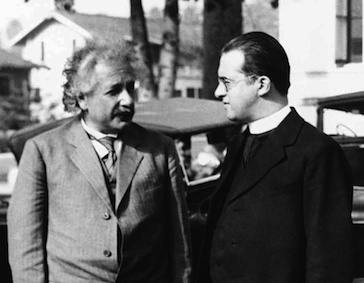 Albert Einstein publicly and widely acknowledged the contribution of Father Lemaître. This initiative acknowledges and responds not only theoretically but also actively to the vision that the Church has set for itself in its documents on seminary training and its intellectual formation since Vatican II. That vision strongly suggests that it is time to recover and reintegrate the tradition of teaching scientific literacy in the seminary intellectual formation program. It anticipates a clergy prepared to engage the bigger questions of science that are naturally part of theological inquiry and important for the competent ministry of each priest. The study of the empirical sciences in the seminary curriculum, with a goal of a minimum threshold of scientific literacy for every future priest, is not something new that the post Vatican II church is reaching for, but rather a recovery of a part of the best of her theological and spiritual traditions that have been largely neglected for four centuries. 1. The ministry of pastor/shepherd entrusted to the Church’s priests demands that those shepherds have the intellectual capacity to engage the people of God in the modern world, which is undoubtedly a world of science and technology. 2. A seminary curriculum that does not ensure some degree of scientific literacy limits the ability to communicate, and when the ability to communicate is limited the ability to evangelize (the hearts of priests and the Church’s mission) is compromised. Fr. 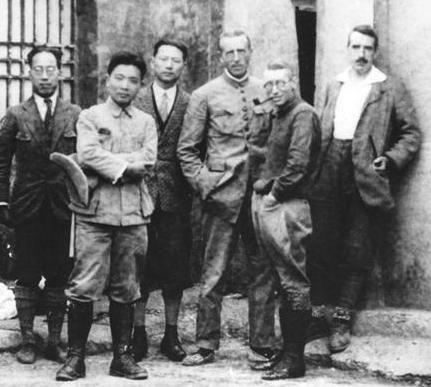 Teilhard de Chardin, Jesuit/priest/paleontologist, near an excavation site in Mongolia. Fr. Teilhard is third from right. 6. Pastores Dabo Vobis (1992) maintains that “the challenge of the ‘new evangelization’ shows just how important this [intellectual] formation is…The present situation is heavily marked …by fresh problems and questions brought up by scientific and technological discoveries. It strongly demands a high level of intellectual formation, such as will enable priests to proclaim, in a context like this, the changeless Gospel of Christ and to make it credible to the legitimate demands of human reason.” An element of scientific literacy then becomes a foundation for effective evangelization by a priest who ministers and preaches the Gospel in a scientific and technological world. This literacy can be invaluable for moral analysis by the priest but even more so, the document suggests that it is essential to the foundational ministry of evangelization. At the Brussels Consultation, L to R: Doris Donnelly, Cardinal Godfried Danneels, Dominique Lambert, Rafael Vicuna, Pamela Mason, Rev. Shawn McKnight, Michael Heller. 7. Pastores Dabo Vobis (1992) goes on to say, “…in the precise field of the positive or descriptive sciences, these can help the future priest prolong the living ‘contemporaneousness’ of Christ. As Paul VI once said, ‘Christ became the contemporary of some people and spoke their language. Our faithfulness to him demands that this contemporaneousness should be maintained’. Our proposal spotlights that vision and lights a path to it. The path is intentionally varied to capture the interest of many. It includes the creation of courses, application of new resources, faculty development opportunities, conference support, conversation with peers, research and reflection on science and one’s vocation and ministry, and most of all, the formation of seminarians as scientifically literate. We cordially invite you to join this initiative with us.